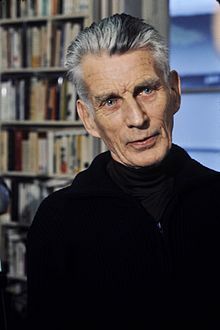 Samuel Beckett was born in Ireland in 1906. His plays Waiting for Godot and Endgame revolutionized modern theater, and his trilogy Molloy, Mallone Dies, and The Unnamable ranks among the major works of twentieth century fiction. He died in Paris in 1989. The following is a personality profile of Samuel Beckett based on his work. Samuel Beckett is a bit compulsive, somewhat critical and skeptical. He is unconcerned with art, he is less concerned with artistic or creative activities than most people who participated in our surveys. He is intermittent as well: he has a hard time sticking with difficult tasks for a long period of time. But, Samuel Beckett is also independent: he has a strong desire to have time to himself. More than most people, his choices are driven by a desire for sophistication. This small volume of ten stories are written largely in sequitur order, ending with the projected demise of Belaqua Shuah, and the after thoughts of his grave digger.